You have not seen all from OPPO yet, it was OPPO A1 and Find X that we've seen in the past that got folks attention, today good news is here as OPPO K1 finally dropped. OPPO K1 is a standard phone that features a water-drop screen, which makes for an impressive real estate. It offers a 6.41-inch screen-to-body ratio equipped with an AMOLED panel. Just before now we've seen a lot tease and other thinking it was not real but finally today we can confirm how real it is, talking about it features its so cool and attracting competing with other smartphones in the market. The full features includes it Qualcomm’s Snapdragon 660 SoC clocked at 2.2GHz, paired with Adreno 512 GPU. The processor is further mated to 4GB RAM and 64GB internal storage, respectively. It also allow expansion using microSD card slot, supporting up to 256GB. The Snapdragon 660 chipset also gets the dedicated Qualcomm AI Engine, which enables AI-backed features across the device. K1 has a dual camera setup on the back and a high-res selfie shooter. The rear camera setup on the OPPO K1 comprises a 16-megapixel primary shooter, which is backed by a 2-megapixel depth sensor. On the front is a massive 25-megapixel selfie shooter, which comes equipped with AI Portrait and AI Beatification features, whereas the rear camera offers features like exposure compensation, Face Detection, ISO toggle, HDR mode, and Burst shot. 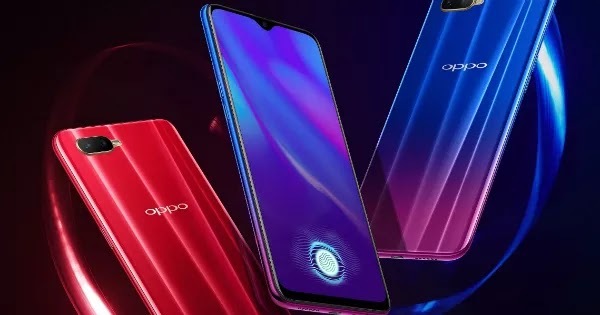 Don't forget we have never seen any OPPO devices offer rear fingerprint so we shouldn't be expecting something less rather in-display fingerprint scanner. OPPO K1 is cool and affordable which is said to be coming live on February 12th (tomorrow) on Flipkart at the price of Rs 16,990. OPPO also offer buyback offer of up to 90 percent value (Rs 15,300) with an additional bank discount of Rs 1,690 if you upgrade within eight months. If you love the previous released devices from OPPO then here another K' series coming up tomorrow, stay tune to pick it up.